Children's Book Apps: A New World Of Learning With tablets and smartphones taking over the market, children's books have had to adapt. NPR's Lynn Neary takes on the new world of kids' publishing and how it is affecting the way our children read. 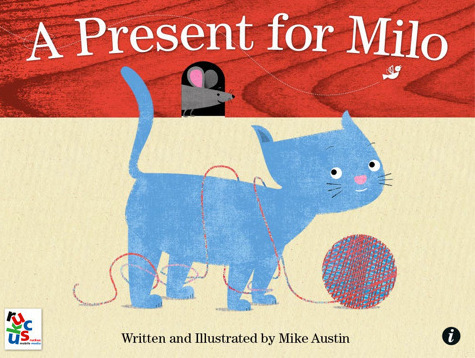 The front cover for A Present for Milo, a top children's book app from Ruckus Media Group. This and other kids' books apps are redefining the way children are reading. There's a whole new way to read your kids to sleep these days — or to distract them while you are trying to get something done. If you have a smartphone or an iPad, you can download a kids' book app in no time. From classics to stories created specifically as an app, these enhanced e-books include narration, animation and interactive features. Some children are even getting their first exposure to books on a digital device. 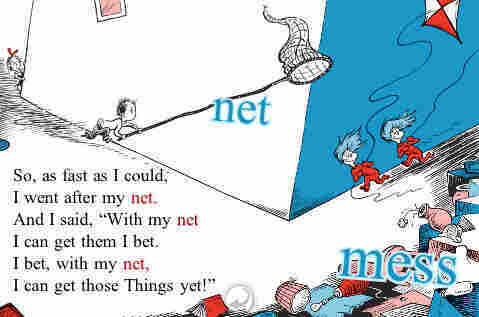 Michel Kripalani is deeply invested in Dr. Seuss these days — for two reasons. His company, Oceanhouse Media, has the rights to develop the works of Dr. Seuss as digital books — everything from Green Eggs and Ham to The Cat in the Hat. Kripalani also has a 2-year-old daughter, Kentia, who loves reading Dr. Seuss — on her father's iPad. "Boy, she can navigate on that thing — it's incredible," Kripalani says. "There's something about a child's ability to navigate by touching what they want, and I believe that's the magic here. It's just that the child is able to touch the tree or touch the bird or touch the word that they don't know, and that's really one of the things that just changes everything." Kripalani began his career as a video game developer, and he doesn't consider himself an expert on reading. But he says his team was very aware that Theodor Geisel, aka Dr. Seuss, cared deeply about literacy. So in developing digital versions of books like The Cat in the Hat, they wanted to use the interactive features to help children learn to read. I just stand back in awe and I just say, wow, she is just going to be able to absorb so much, so much faster, so much earlier. "As the app is reading the book, the individual words are highlighting," he explains, "so the child is getting an association between what they are hearing and the actual word that's being spoken at the time. They can also touch on any of the pictures and they get a picture word association, so if the child taps on the cat for example, the letters C-A-T float up and the narrator speaks in a clear voice: cat." With the e-book market so hot right now, a lot of people are eager to get in on the ground floor. Rick Richter left the traditional publishing world to found Ruckus Media, which develops digital versions of well-known kids' books, as well as brand new book apps. Richter says the company's award-winning app A Present for Milo is aimed at very young children. "What a 2- to 4-year-old wants in an app is to poke and be satisfied," says Richter. "So Milo has 80 different touch points and 125 different animations — and they are randomized, so every time the child enters, it's a different experience." A screengrab from the Cat in the Hat app, from Oceanhouse Media. 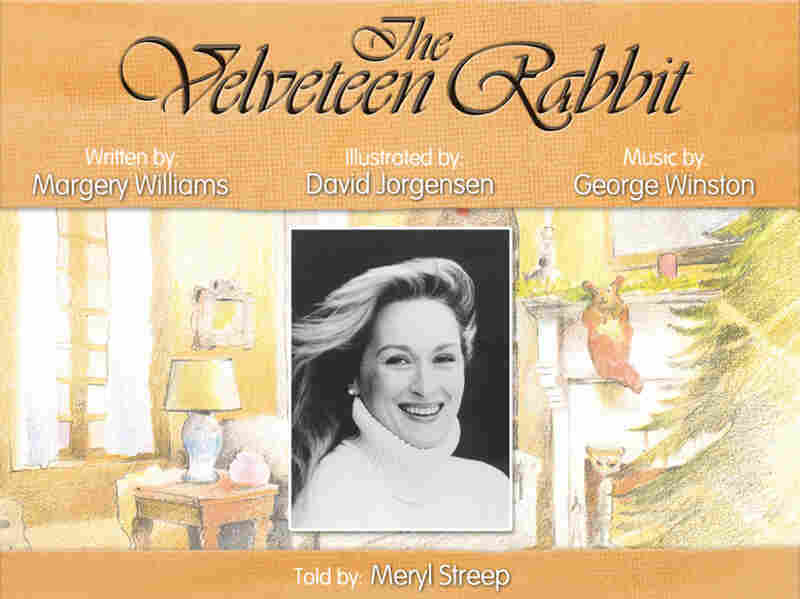 Other book apps developed by Ruckus are less interactive, but they might offer other options: substituting a well-known actor's narration with a parent's voice, for example. Richter says the possibilities are endless. He believes these apps are an entirely new art form. "People ask, 'Are you creating books, are you creating games or are you creating animations?' " he says. "The answer is yes. That's what we set out to do — books you can play with and games you can read." However, there are some detractors who say this new breed of children's "books" are not really books at all. "It's not a book for a number of reasons," says Philip Nel, a professor of English and director of the children's literature program at Kansas State University. "One is that in a traditional reading experience, the reader is in charge," Nel says. "The reader acts on the book. With an interactive e-book, the reader does still act on the book, but the book also acts on, and depending on the adaptation, against the reader. So I would say it's not a book, it's maybe a relative of the book. But it's not quite a book." Watch the Present for Milo app in action. Nel agrees with Richter that these apps are something entirely different. But he says the flashy features available in some kids' book apps actually interfere with the process of reading. "Reading may be involved, but there's more to it than that, and it's different than that," he says. "We don't read a film, we watch a film. We don't read a video game, we play a video game. And I was trying to think, what's the verb to describe what the enhanced e-book experience is like; is it 'work,' is it 'use'? Do we 'play' an enhanced e-book?" Elizabeth Bird, a children's librarian at the New York Public Library, agrees that some of the bells and whistles in kids' book apps are distracting. She says it's important that all of the artwork and interactive features in an app are well integrated with the story. Obviously, not all apps are equal, she says, but the ones that get it right can take a book to a whole new level. "They allow you to do things that you couldn't do before," Bird says. "For example, there's a wonderful Peter Rabbit app that's out right now that sort of turns Peter Rabbit into a virtual pop-up book. And you can go beyond that. I mean, there are apps where you can touch a word and it will pronounce it for you, and it can also pronounce it for you in any language. You can learn a language a second way by using one of these picture book apps." Celebrity narrators are often involved in the creation of apps — in the app version of The Velveteen Rabbit, Meryl Streep reads the narration. Bird doesn't believe apps are about to overtake books. She says kids move seamlessly back and forth between traditional print books and digital books all the time. If a parent wants to use a book app to distract a child, she doesn't see a problem with that, either. "Let's say that I am in a grocery store and I see a [parent] handing their phone to a child," she says. "Do I want them to hand the child a game like Angry Birds, or do I want them to hand them Freight Train by Donald Crews in the app form? I would prefer that they hand them the book." Kids book apps are so new, says Kripalani, that it's not surprising that there are problems still to be resolved. But he says when he thinks about his daughter those questions go away. "I just stand back in awe and I just say, wow, she is just going to be able to absorb so much, so much faster, so much earlier. It's really, really awe-inspiring when you see a 3- or 4-year-old child that really gets it."